Billy Joe (B.J.) Thomas (b. 1942) was born in Hugo, Oklahoma, but raised in Rosenberg, Texas, near Houston so he grew up surrounded by both pop and country music. Active in music during his teen years, his commercial breakthrough came when he signed with Pacemaker Records and released a very soulful (and not at all country) cover of the Hank Williams classic “I’m So Lonesome I Could Cry”. The single sold over a million copies, reaching #8 on Billboard’s pop chart and #2 on the Canadian RPM pop chart. The success of this record caused Scepter Records to obtain B.J.’s contract. B.J. provided another twenty pop hits for Scepter before leaving at the end of 1972 including three number one adult contemporary hits in “Raindrops Keep Falling On My Head “ (also #1 pop and #1 Canadian pop), “I Just Can’t Help Believing” (#8 pop) and “Rock and Roll Lullaby”. The hits dried up for the next few years until he signed with ABC Records in 1975 and recorded “(Hey Won’t You Play) Another Somebody Done Somebody Wrong Song”. This record swept the boards reaching #1 on Billboard’s pop, country and adult contemporary charts and the top three on the Canadian pop and adult contemporary charts. 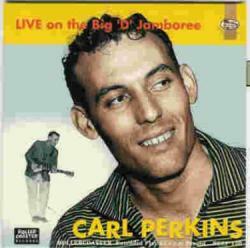 This song marked B.J.’s first appearance on the country charts, although after this record, some of his pop records would appear on the country charts. During this period B.J. also started focusing on religious music, with his religious music being released on the Myrrh label and his pop material being released on ABC or MCA (which absorbed ABC). Since 1985, B.J. Thomas has remained active as a performer making appearances at venues as diverse as Las Vegas and the Grand Ole Opry (he’ll appear June 26, 2013), with a share of large theaters, county fairs and private appearances thrown in. You can check B.J.’s official website for tour dates and merchandise – he has some interesting new recordings available. B.J. Thomas also has a very active fan club. B.J. and his wife Gloria have been married since December 1968 with three children and five grandchildren. The April Spotlight Artist is one of the truly great vocalists in the history of the genre, Vern Gosdin. 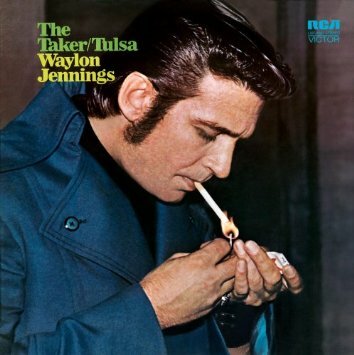 There are very few male recording artists who deserve to be mentioned in the same breath as Geoge Jones, Ray Price and Gene Watson. It takes the ability to convey the depths of despair, the heights of jubilation and the serenity of an abiding faith – that’s all that is required to be known as “The Voice” and Vern was one of the few to fit the bill. Born in Woodland, Alabama, Vern (1934-2009) and his brother Rex (1938-1983) first surfaced in the American conscious during the 1960s in various capacities in the Southern California music scene. Despite inclusion in the Byrds’ inner circle of musicians and friends, the Gosdin Brothers bluegrass/country/rock hybrid never achieved great success. The Gosdin brothers grew up with their seven siblings on a farm. Since money was never in great supply, they, like many other poor rural children, turned to music to escape the drudgery of everyday life. Energized by their discovery of the Louvin Brothers, Rex and Vern (and a third brother) started singing together, mastering the art of vocal harmony, and performing regularly on local radio station WVOK as teenagers. 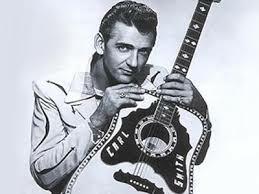 In 1953 Vern moved to Atlanta and in 1956 he moved again to Chicago where he ran a country music nightclub. Meanwhile Rex had moved to California. Vern moved to Los Angeles in 1961, where he joined up with Rex and they expanded their musical horizons as they found their way into a bluegrass group led by Chris Hillman called the Golden State Boys. The group later changed its name to the Hillmen. Their association with master musician Hillman led to their acceptance into the Los Angeles music scene from which the Byrds and such later stars as Poco, Linda Ronstadt and the Eagles emerged. During this period, the Gosdin Brothers picked up gigs when available, performed on recording sessions, and recorded a few songs as a duo. The duo expanded their musical repertoire, moving into an area somewhere between the folk-rock of the pre-Gram Parson Byrds and the Country-Rock that would emerge in the early 1970s. In 1966 Vern and Rex contributed vocal harmonies to Gene Clark’s album Gene Clark and the Gosdin Brothers. In 1967 a single, “Hangin’ On,” cracked the charts, leading to the release of the duo’s only album, Sounds of Goodbye on Capitol in 1968. The title song, written by up and coming songwriter Eddie Rabbit was a hot commodity-so much so that three different acts recorded and released the song as a single, ensuring that no one would have a big hit with the record, although Opry veteran George Morgan came closest as his version was a big hit in the Southeast and Mid-Atlantic areas. Tommy Cash’s record also made the national charts with the song. The Gosdin Brothers version did not chart nationally, but it did well on the left coast. Since country music was a singles-driven genre, the failure of “The Sounds of Goodbye,” the most radio-friendly cut on the album, spelled finis to their recording career on Capitol. This was truly a pity as the album contains many great harmonies and otherwise worthwhile moments including original material in “For Us To Find” and “The Victim.” While the Gosdin Brothers sounded good collectively, Vern’s sparkling vocals were the highlight of the album. Discouraged, the Gosdin Brothers split up with Vern largely dropping out of the entertainment business for a while when he returned to Atlanta, where he ran a glass and mirror shop. Rex continued to perform. Vern Gosdin never entirely stopped performing. In 1976, he returned to recording for the Elektra label, charting his first solo chart hit, a solo version of “Hangin’ On” and enjoying Top 10 hits with “Yesterday’s Gone” (both featuring harmony vocals by Emmylou Harris, a friend from his California days) and “Till The End.” By this time he was forty-two years old. He left his sons to run the glass and mirror business and rejoined brother Rex for touring. Unfortunately, Rex died in May 1983 at the age of 45, some two weeks before his own solo recording of “That Old Time Feelin'” entered the charts. Elektra’s country division folded in 1980 and Gosdin landed on smaller labels AMI (which folded) and Compleat where he enjoyed continued success. After landing with Compleat, Gosdin joined forces with songwriter Max D. Barnes (whose son Max T. Barnes also was a successful songwriter) to write some truly classic honky-tonk laments. In 1983 Gosdin had two top five hits (“If You’re Gonna Do Me Wrong” and “Way Down Deep”) and in 1984 he had his first #1 single with “I Can Tell by the Way You Dance (You’re Gonna Love Me Tonight)” and had two additional top 10 hits. After 1984, his career hit a temporary lull, but the “New Traditionalist” movement lured Columbia into signing him in 1987 where he justified Columbia’s faith in signing him with a top 10 hit in the tormented “Do You Believe Me Now.” In 1988 Gosdin returned to the top of the charts with his Ernest Tubb tribute “Set ‘Em Up Joe.” The next year “Chiseled In Stone,” co-written with Barnes, won the Country Music Association’s Song of the Year and cemented his reputation as one of the all-time great song stylists. His 1989 album, Alone, chronicled the breakup of his own marriage. As a solo artist, Vern Gosdin charted 41 country chart hits, with 19 top ten records and 3 chart toppers. Vern was hospitalized in 1995 with a stroke and subsequently dropped by Columbia. He continued to record sporadically after that, most notably the 2004 album Back In The Swing of Things and the four CD set 40 Years of The Voice issued just months prior to his death in April 2009. In 2005, Gosdin was inducted into the Alabama Music Hall of Fame. Perhaps the Country Music Hall of Fame will see fit to do likewise. “The Voice” is now silenced but he left behind an incredible legacy of recorded performances. Join us now as we explore the music of April’s Spotlight Artist, the incomparable Vern Gosdin.